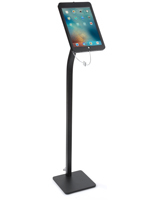 These adjustable iPad Pro floor displays are designed to keep handheld tablets and content access secure in high traffic, public locations. 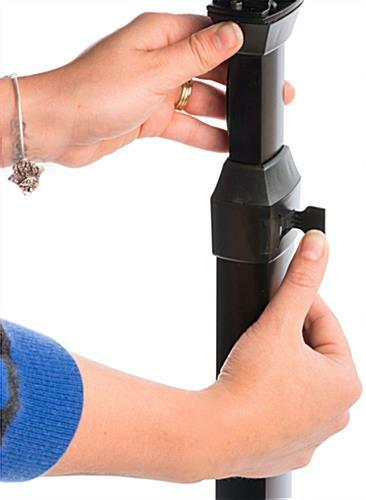 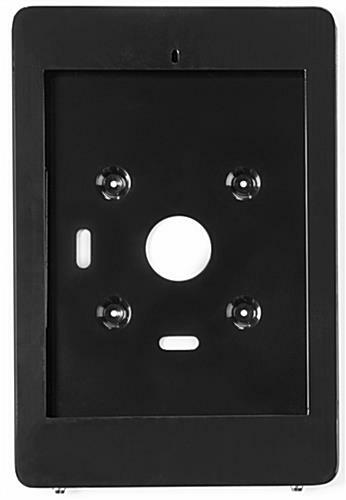 Each freestanding black aluminum fixture offers a sturdy anti-theft device enclosure with dual key locks and blocks user access to Home button functions. 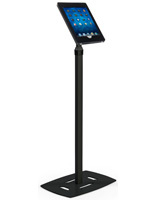 These adjustable iPad Pro floor displays feature a telescoping pole support that can be set to between 50.5" and 73.5" tall as desired. 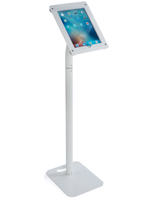 The wide, flat base of each stand is weighted for maximum stability, making this freestanding tablet support a great choice for showroom and conference presentations as well as for in-store, church, or trade show use. 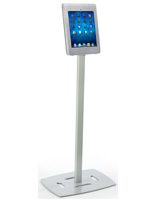 These 12.9" Apple Pro floor displays offer sturdy design, user friendly accessibility to digital programming, and easy portability. 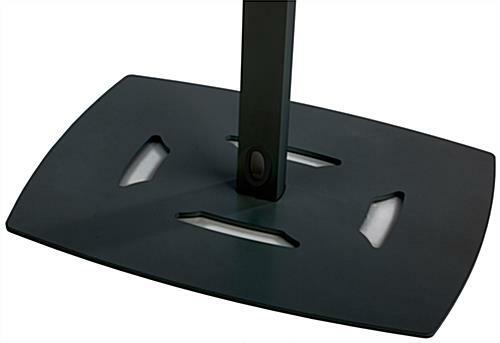 This type of height-adjusting base is perfect for facilities that need to accommodate a number of different speakers and presenters, or for businesses who use the same fixture for multiple purposes, such as interactive digital content displays, customer service kiosks, and presentation stands.